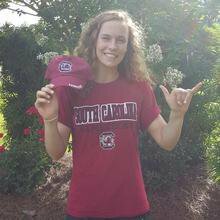 I am super excited to announce my verbal commitment to the University of South Carolina! I chose USC because of the amazing atmosphere and coaching staff. I can't wait to see what the future holds. SPURS UP! !